The M&F Western™ Nocona Belt offers a tough Western style for your little cowboy. Smooth leather belt with tooling detail. 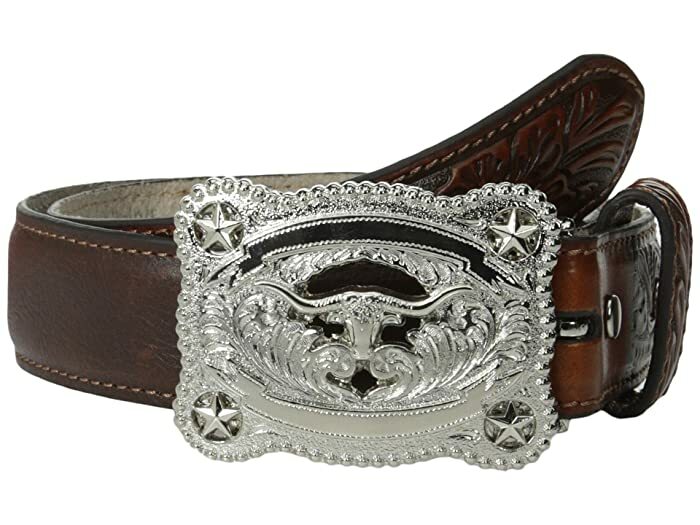 Silver-tone buckle with star and bull tooling detail. Product measurements were taken using size 24. Please note that measurements may vary by size.